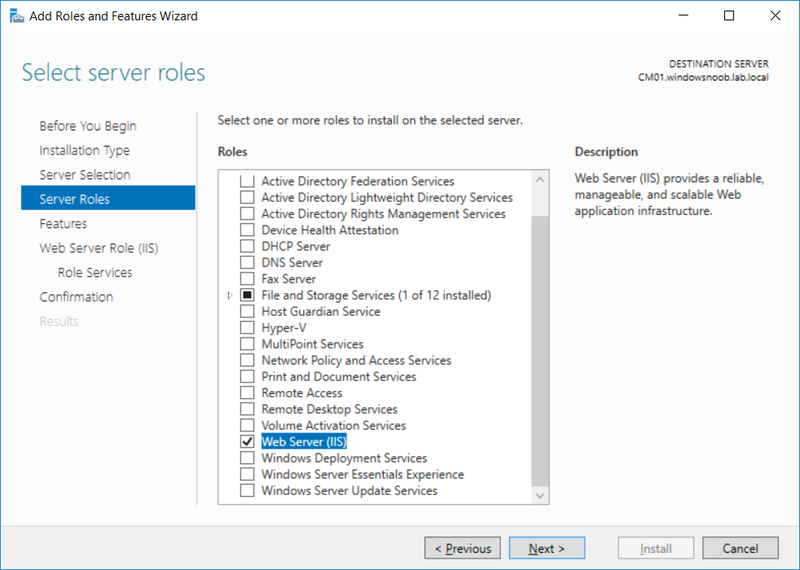 In Part 1, you configured Active Directory Domain Services (ADDS) on AD01, then joined the Configuration Manager server (CM01) to the newly created domain. 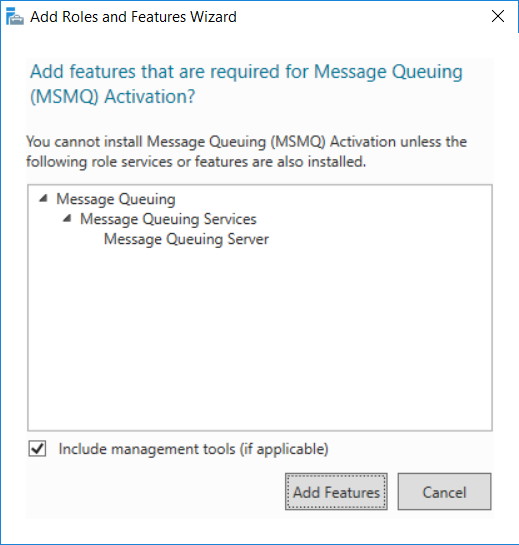 You then created users, usergroups and OU's in Active Directory and created the System Management Container. 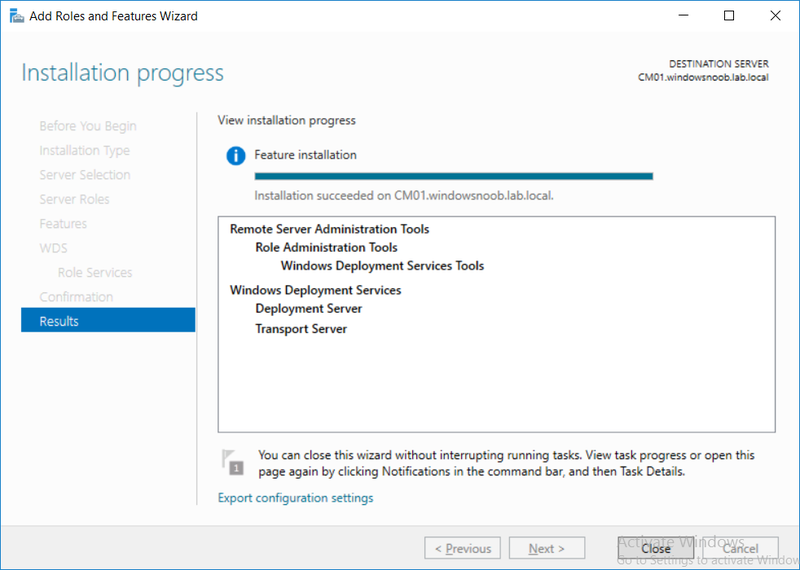 Finally you delegated permission to the Configuration Manager server to the System Management container. 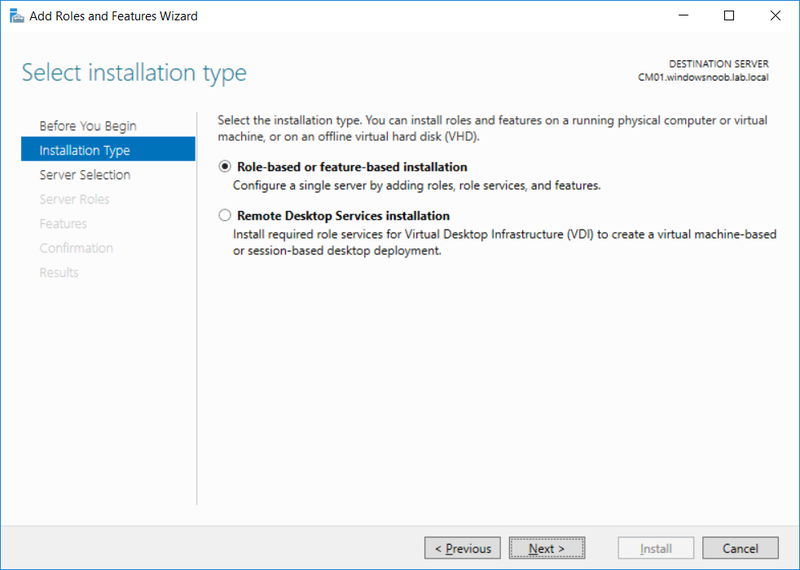 To support various features in System Center Configuration Manager, the setup wizard requires some server roles and features preinstalled. On CM01, login as the username you added to the Local Administrators group and start Server Manager. 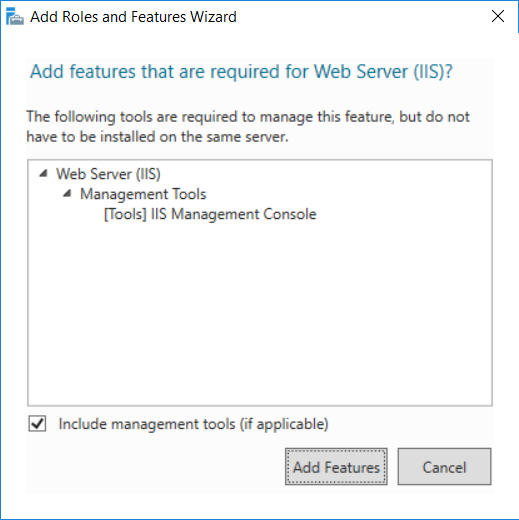 The role and feature requirements for ConfigMgr are listed here https://docs.microsoft.com/en-us/sccm/core/plan-design/configs/site-and-site-system-prerequisites. 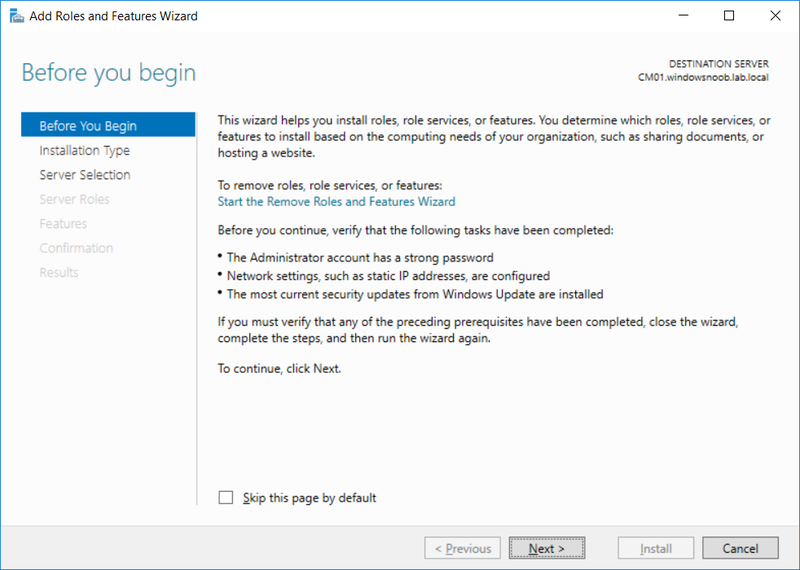 On CM01, login as a user with administrative permissions on the server. 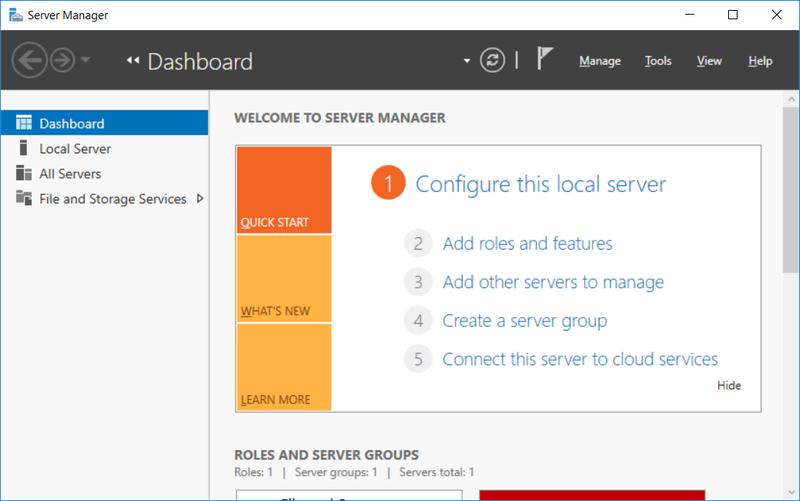 Start Server Manager. 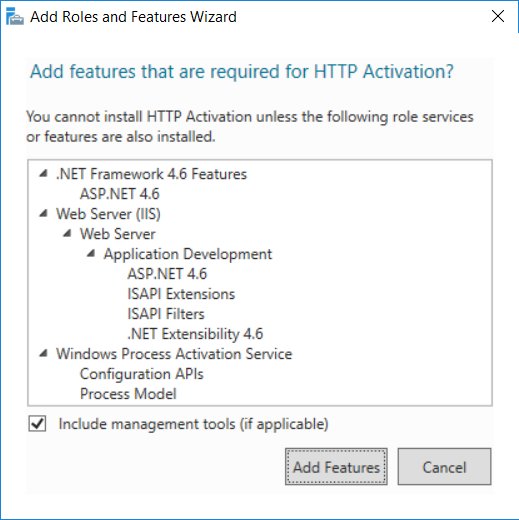 Expand the .NET Framework 4.6 Features and select HTTP Activation under WCF Services, answer Add Features when prompted. Click on Close when the feature installation has succeeded. 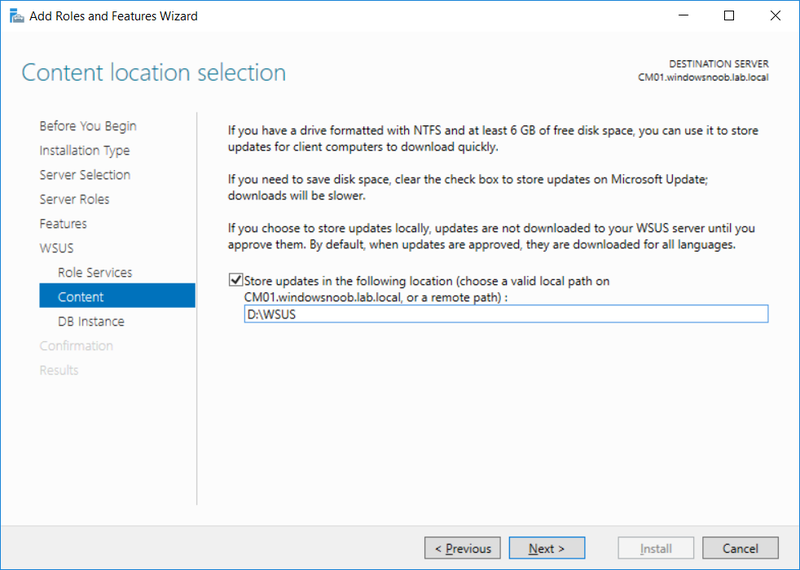 Note: Make sure your Server 2016 media is in the drive specified in the script or edit the script to point to the new location of the media. 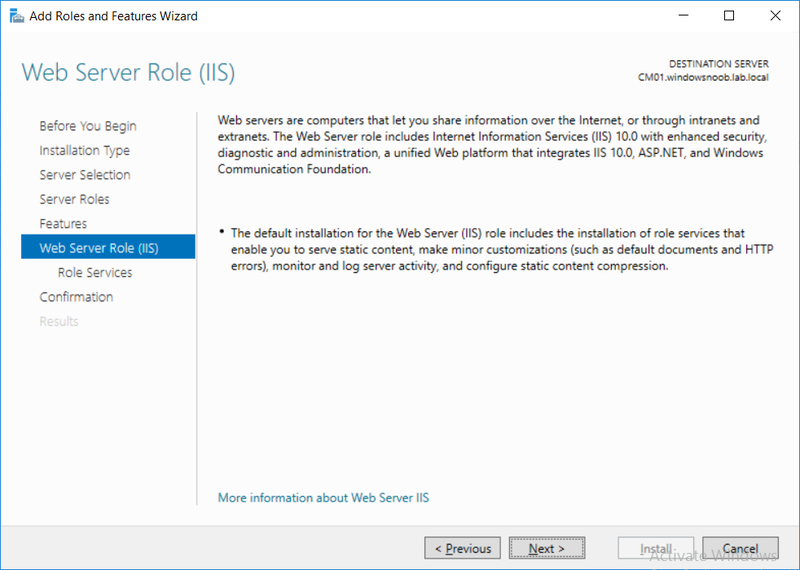 To install the roles and features needed, start Windows Powershell ISE as a user with administrative permissions on the server, edit the variables as appropriate and run the install roles and features.ps1 script. 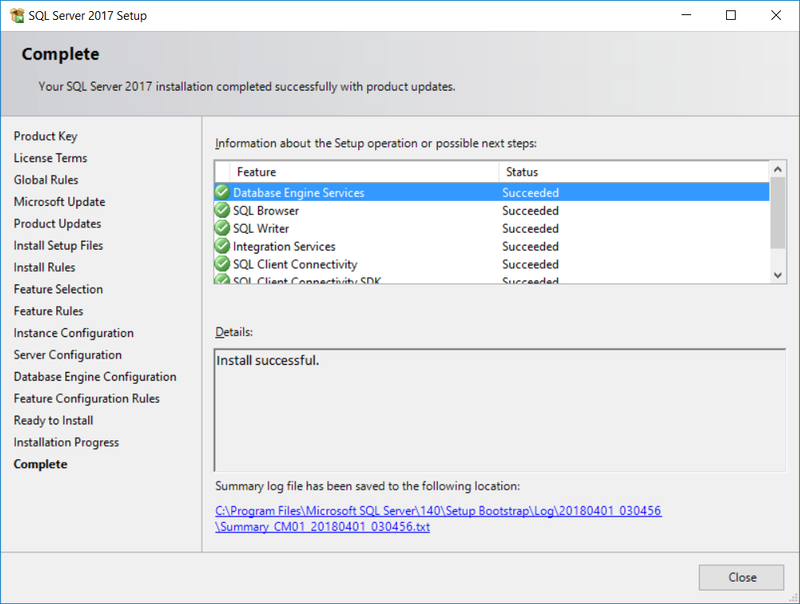 The script will automatically stop and prompt you to correct things, if it cannot find the XML file or the Windows Server 2016 installation media. 2. Edit the variables (lines 18-19) as desired before running. 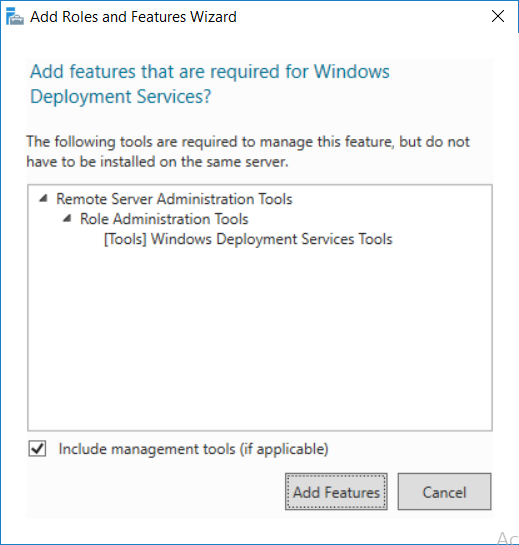 When you deploy operating systems with Configuration Manager, the Windows ADK is an external dependency that is required. 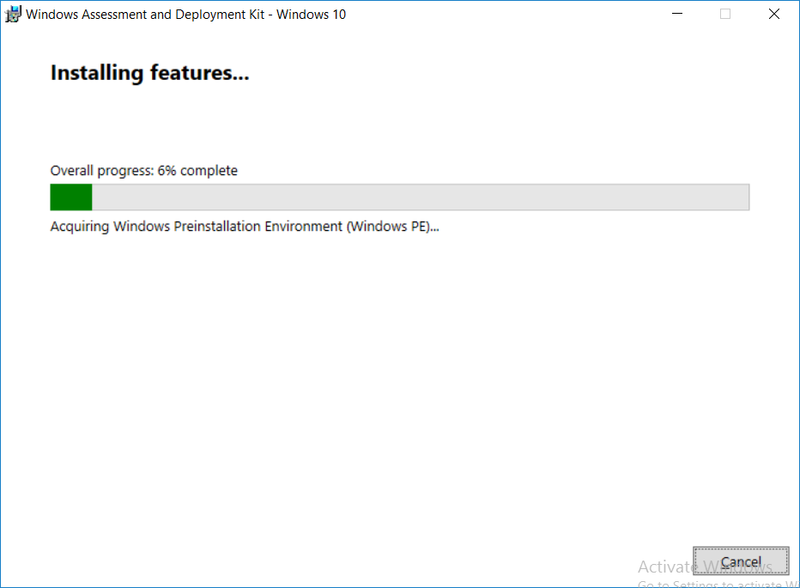 The ConfigMgr prerequisite checker will check for various things, including ADK components such as USMT and Windows Preinstallation Environment (among others), therefore you need to install Windows ADK on your server. 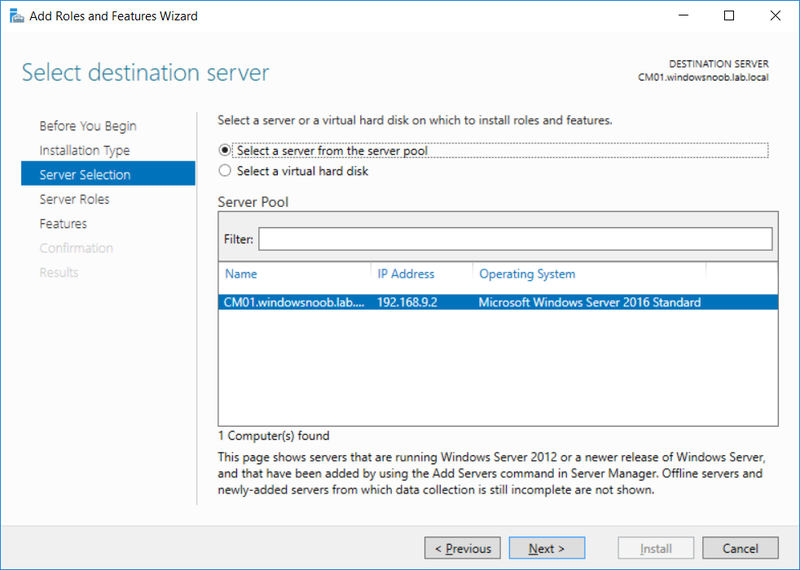 System Center Configuration Manager version 1802 supports Windows ADK 1709 as I've explained here. Go to this link and download ADK 1709. 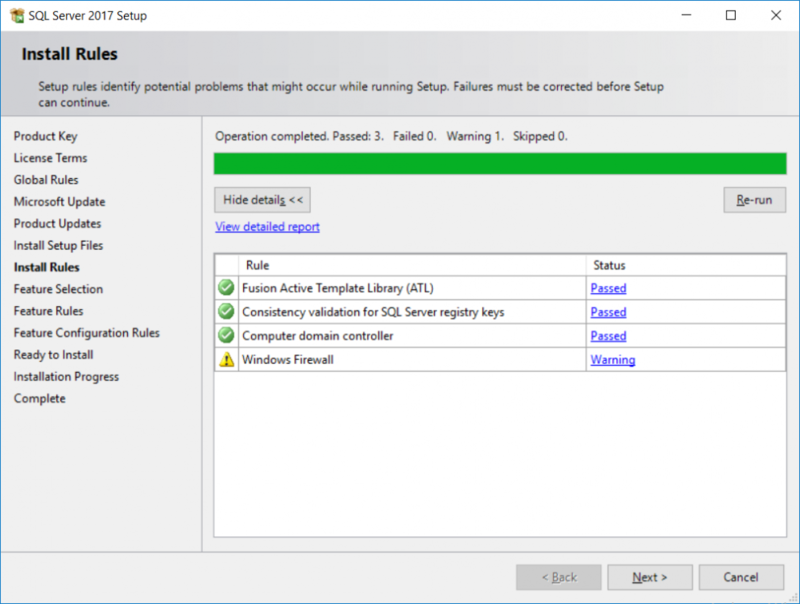 You'll be prompted to save or run ADKSETUP.EXE, select Run. 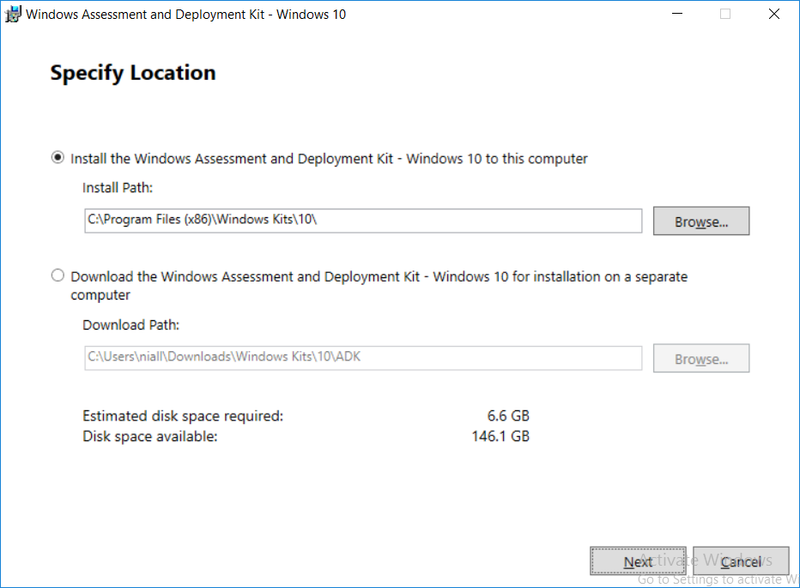 and click Install to start the download and Installation of the Windows ADK, version 1709. 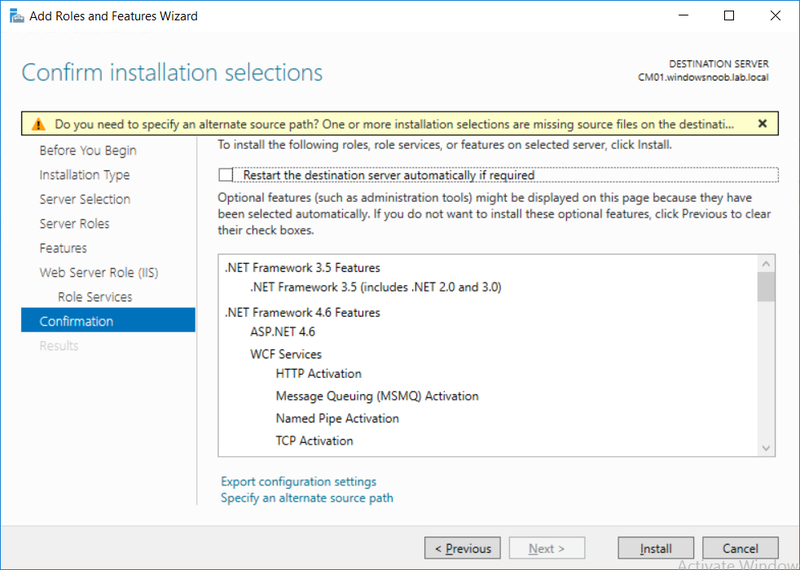 Once the ADK installation is complete, click Close. 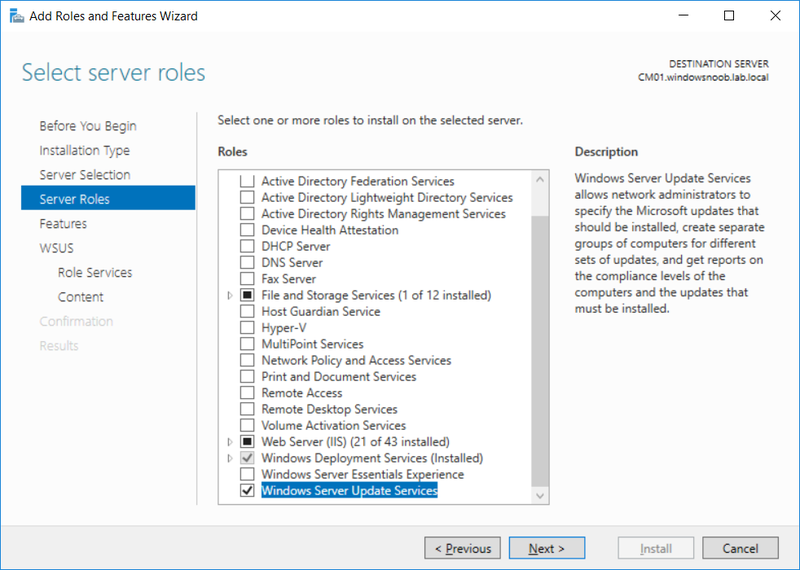 To install WDS, open Server Manager, select Add roles and features and select the Windows Deployment Services role. When prompted click on Add Features to include management tools. 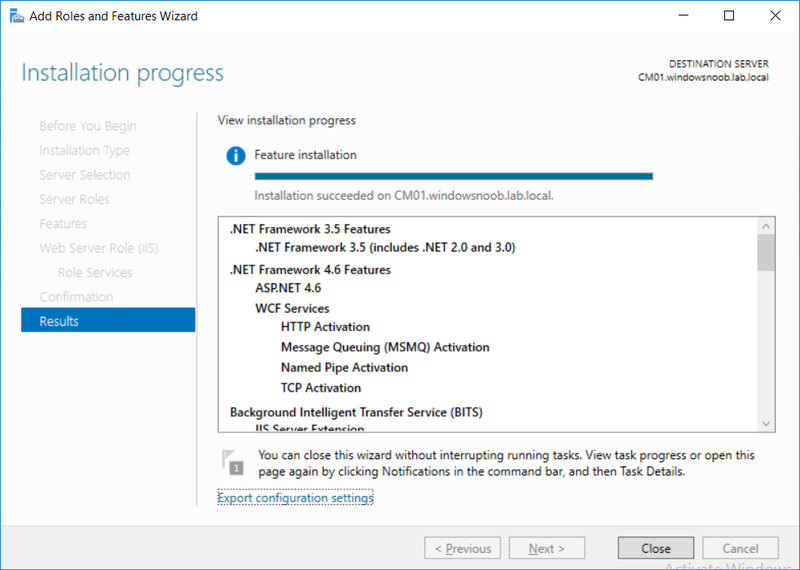 and click through the wizard until completion, close the wizard when done. 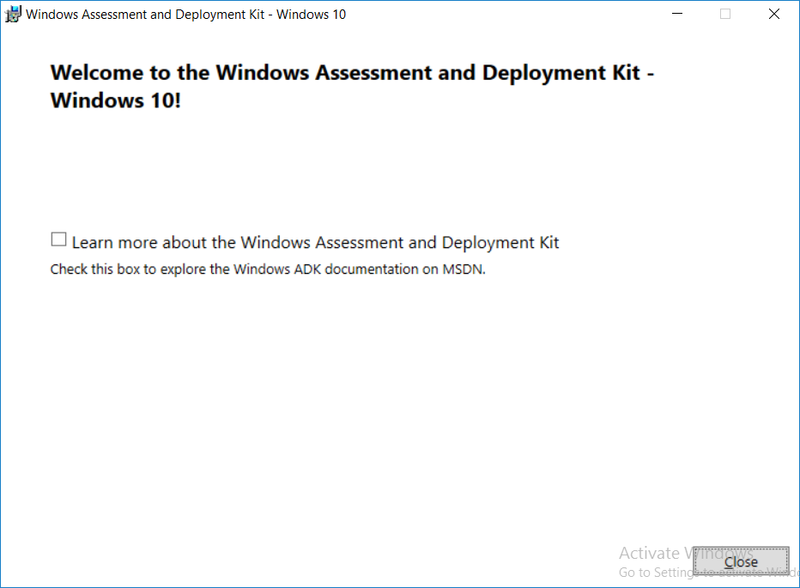 To download and then install Windows ADK 10 version 1709 with the components needed for ConfigMgr, start Windows Powershell ISE as Administrator and run the setup ADK and WDS.ps1 script. 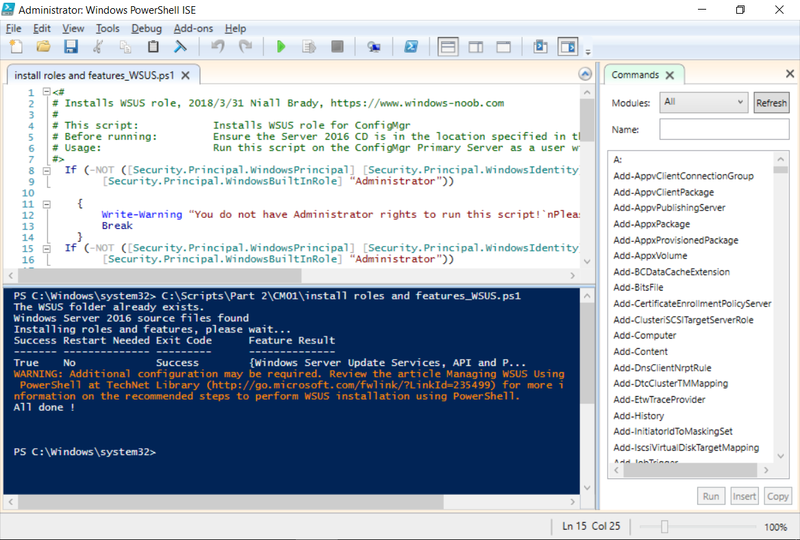 This script not only downloads and installs ADK 1709, but it installs the Windows Deployment Services role. Tip: If you've already downloaded ADK 1709 and want to save yourself some time, copy the Windows Kits folder and all files/folders within to the source folder (eg: C:\Source\Windows Kits) and the script will skip the download. 2. Edit the variable (line 17) as desired before running. 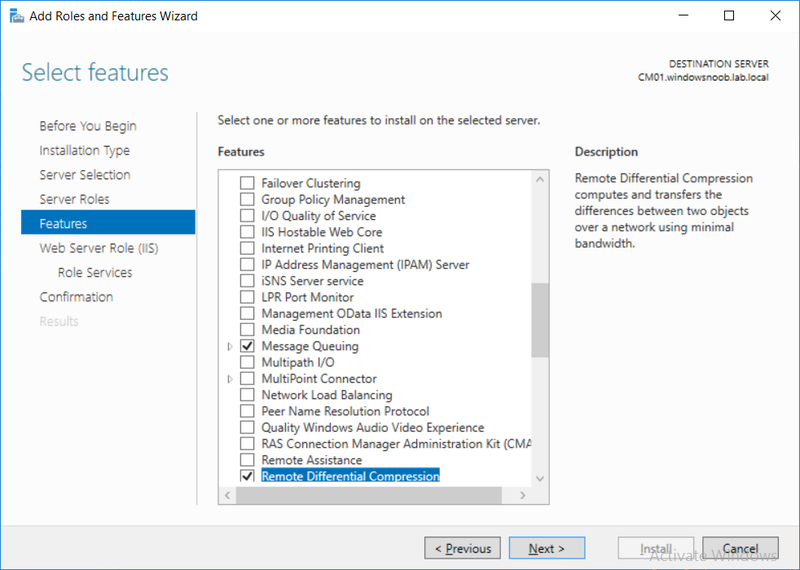 Configure the firewall as described in https://go.microsoft.com/fwlink/?linkid=94001. 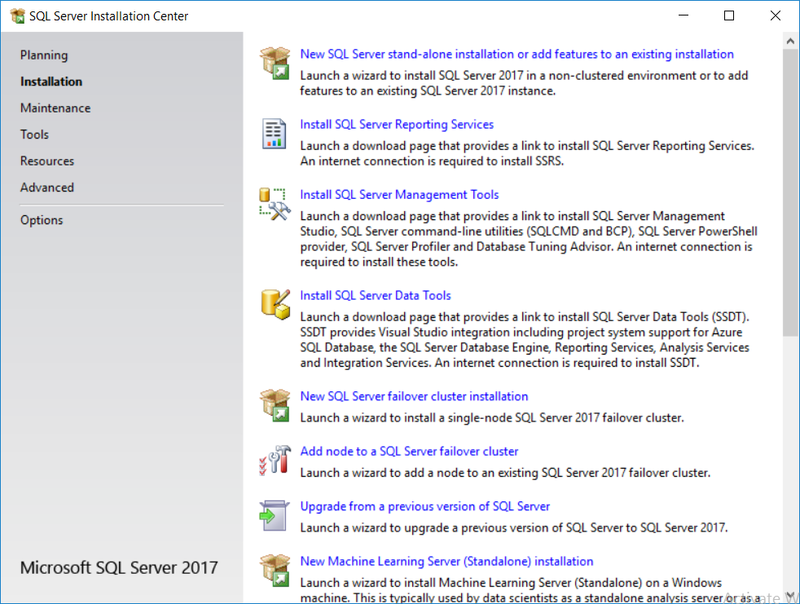 After configuring the firewall, browse to the drive where the SQL Server 2017 media is, and run setup.exe. 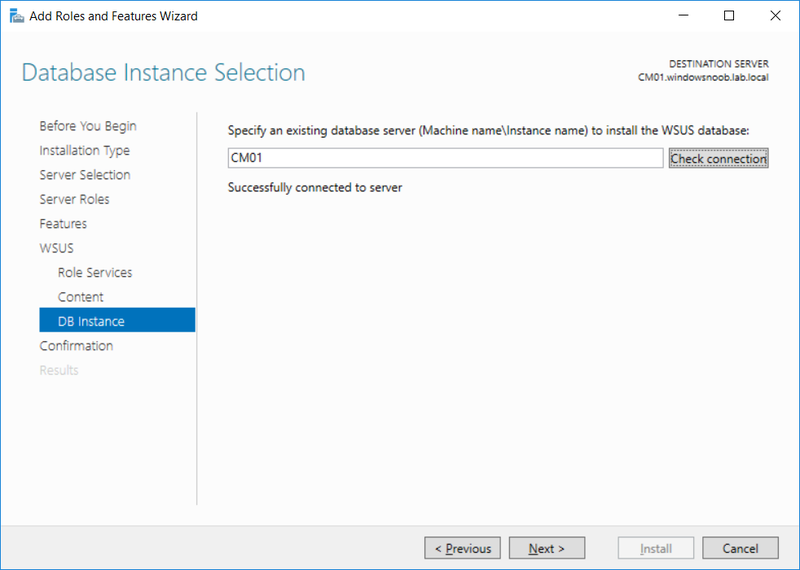 The SQL Server Installation Center wizard will appear. 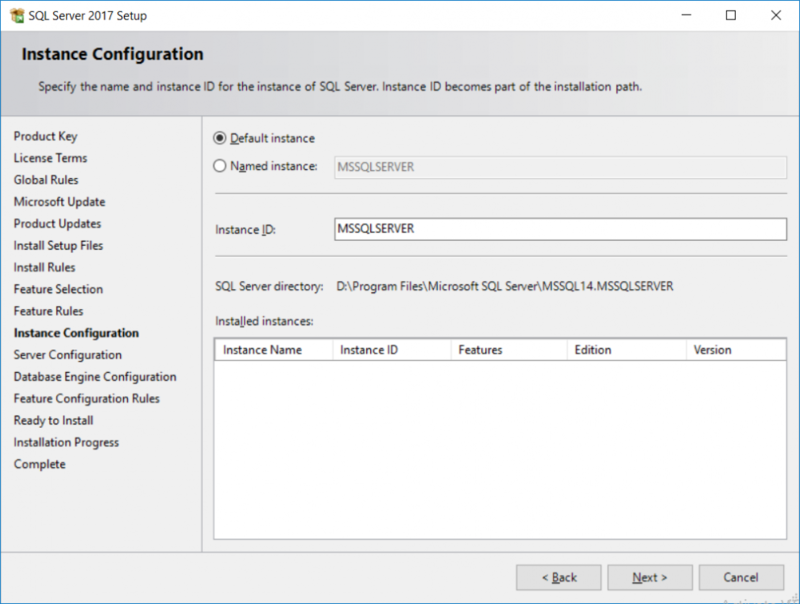 Click on Installation and then choose New SQL Server standalone installation or add features to an existing installation. 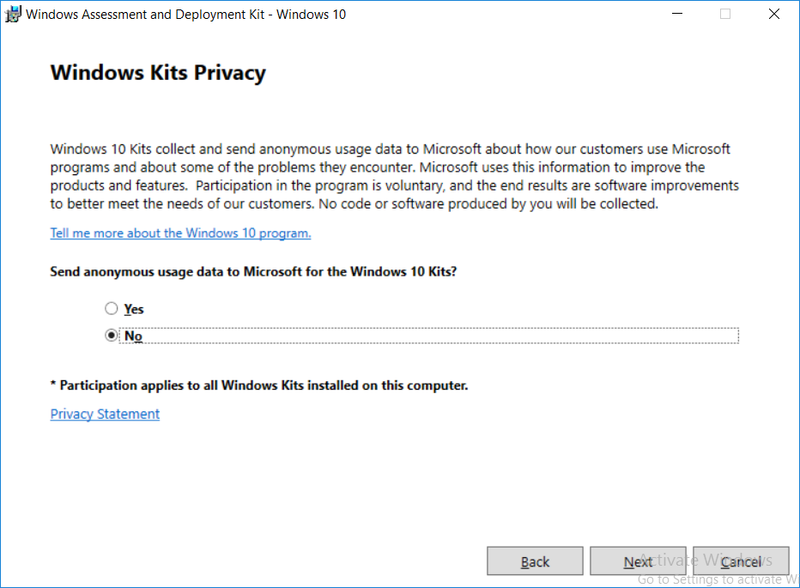 Enter the Product Key or use the evaluation version if that's what you want to use. 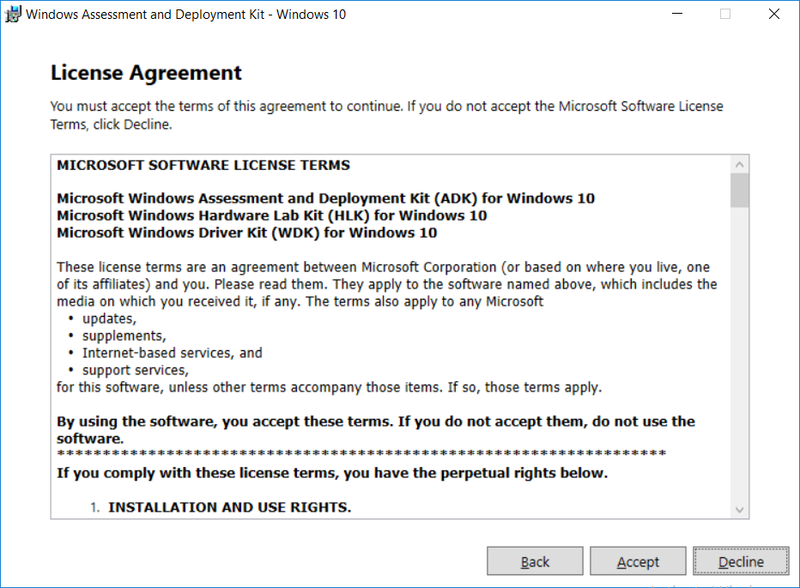 The product key will be automatically filled in for licensed media downloaded from Microsoft Volume Licensing Service Center. Click on Install to start the installation of SQL Server 2017, and once it's completed, click Close. 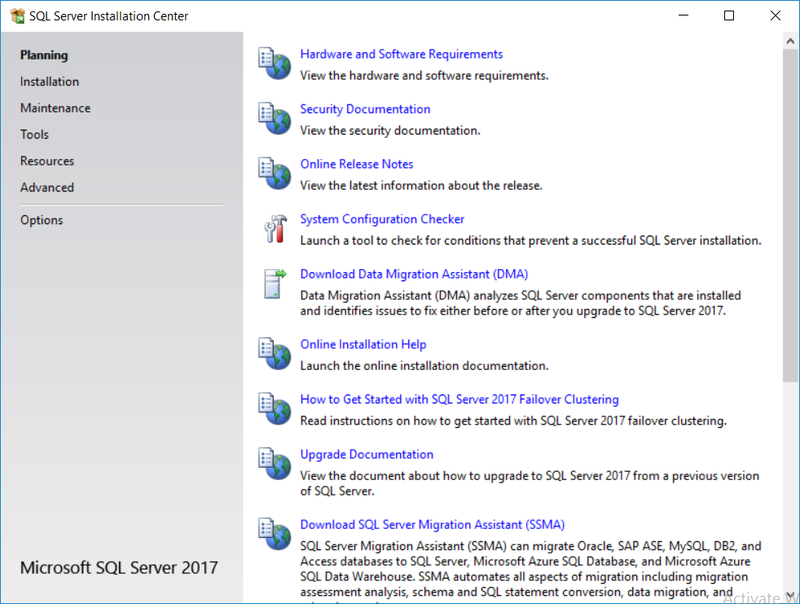 After installing SQL Server 2017, download SQL Server 2017 SSMS from here and install it. Note: Make sure your SQL Server 2017 media is in the drive specified in the script or edit the script to point to the new location of the media. The script and accompanying INI file have the path pointing at D:\Program Files, please change the variables as appropriate. 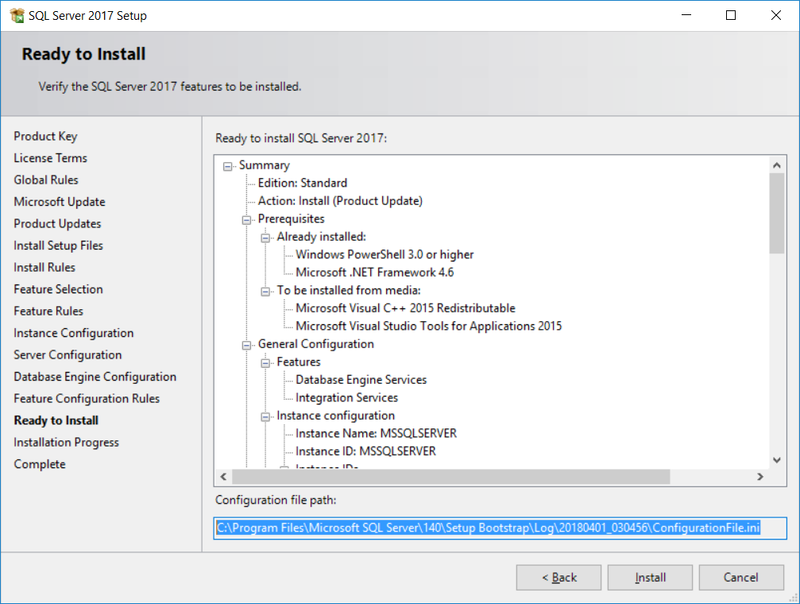 To install SQL Server 2017 use the Install SQL Server 2017.ps1 script. The script will create a ConfigurationFile.ini used to automate the installation of SQL Server 2017, and after it's installed the script will download the SSMS executable (Management Studio) and install it. 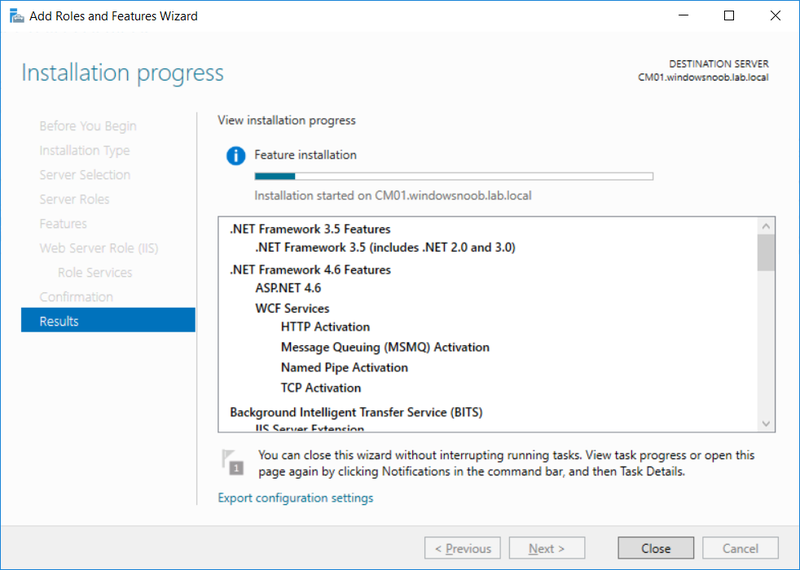 Then it will download Reporting Services and install it. 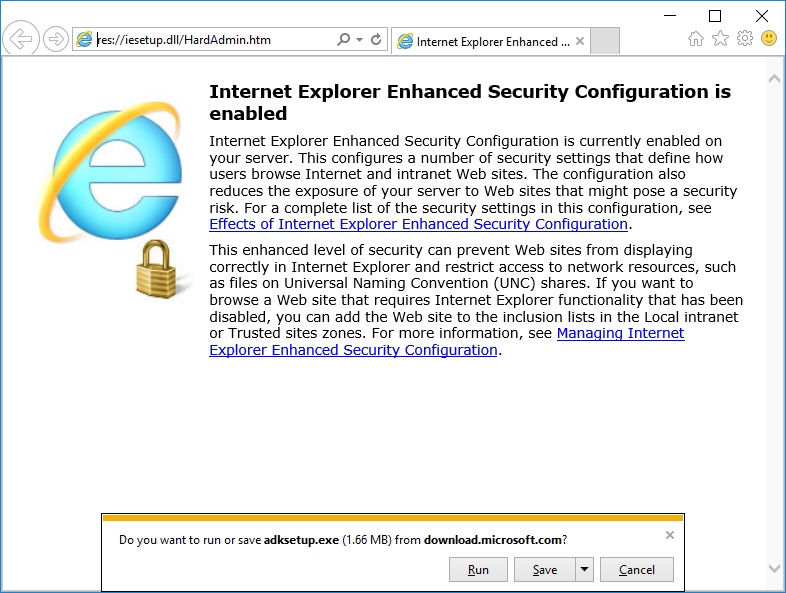 If either of the EXE's are in the download folder, it will skip the download and just install. 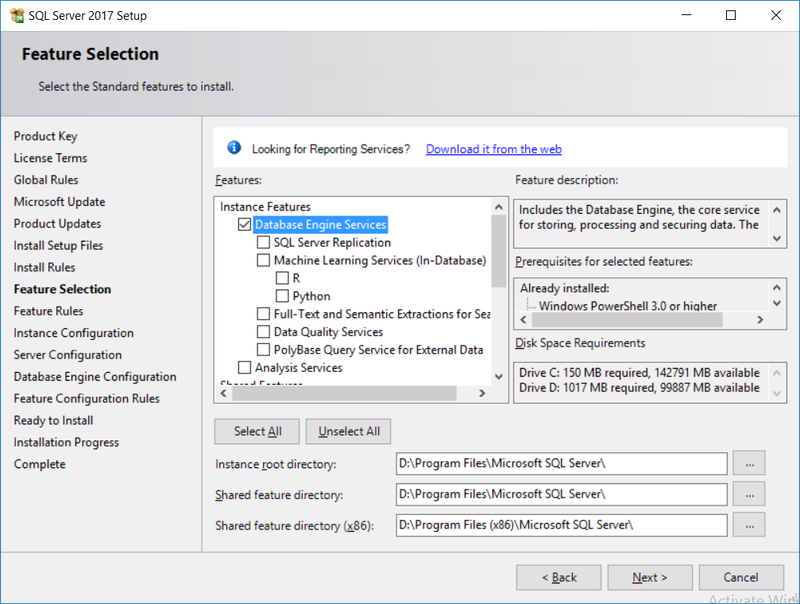 SQL Server no longer comes with the Management Studio or Reporting Services built in, and they are offered as separate downloads, don't worry though, my PowerShell script takes care of that for you. 2. Edit the variables [lines 17-76] as desired before running. 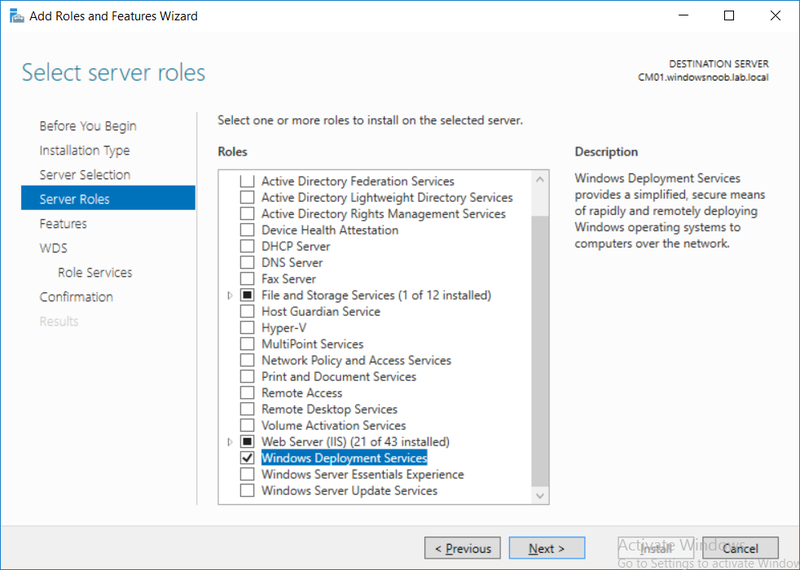 Using Roles and Features in Server Manager, add the Windows Server Update Services role. 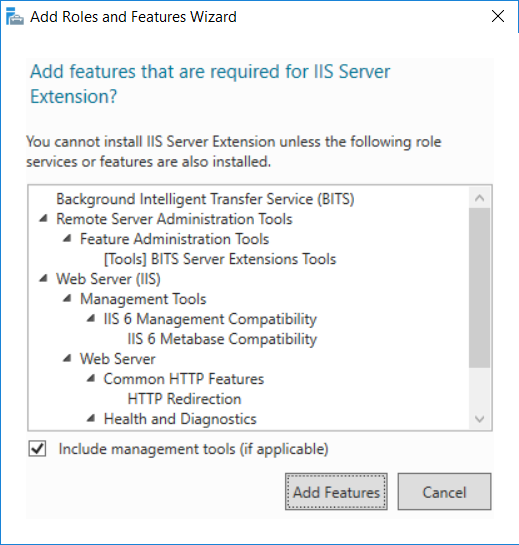 When prompted to add features for the WSUS role, click on Add features. 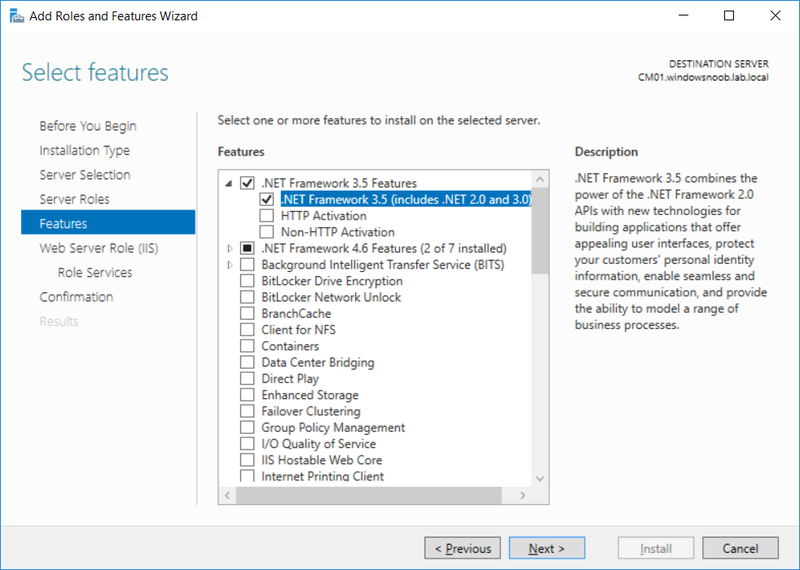 When prompted for the Role Services, uncheck WID Connectivity and add SQL Server Connectivity instead. 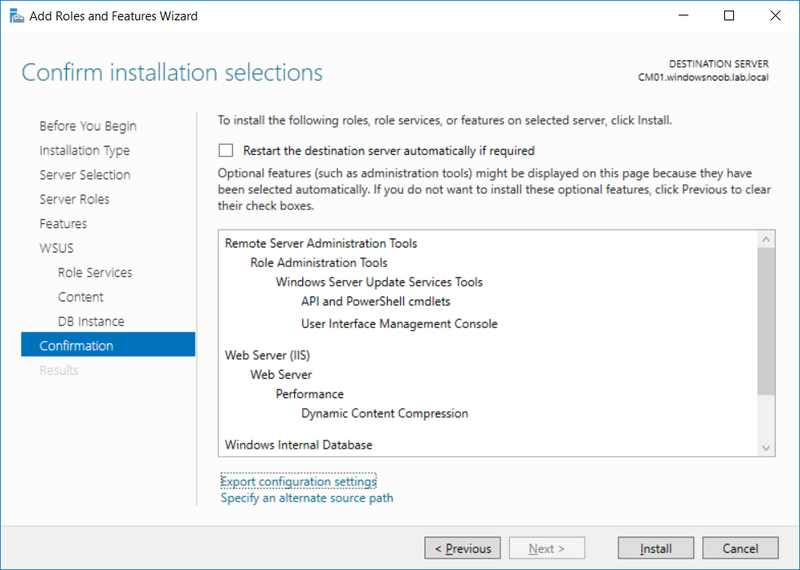 On the Confirm Installation Selections screen, click on Install. 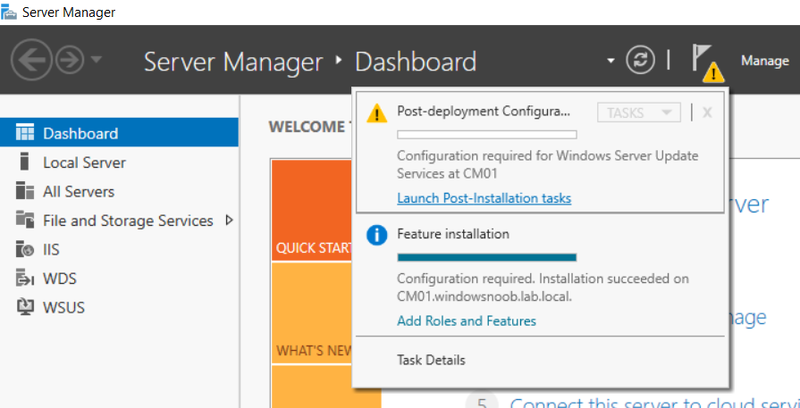 After installing the WSUS role, in Server Manager, click on the yellow exclamation mark and choose Launch Post Installation Tasks. 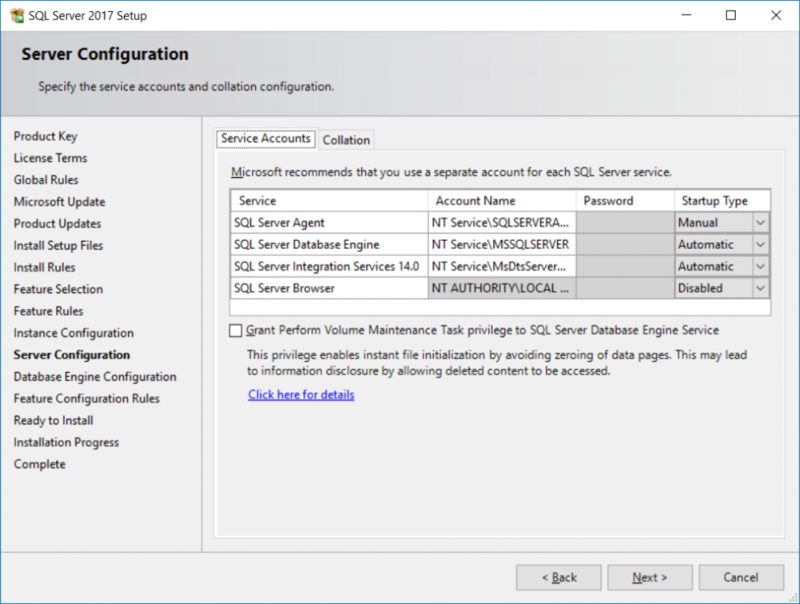 Optional: The WSUS database (SUSDB) can be observed using SQL Server SSMS. Browse to the location where you extracted the scripts, C:\scripts. 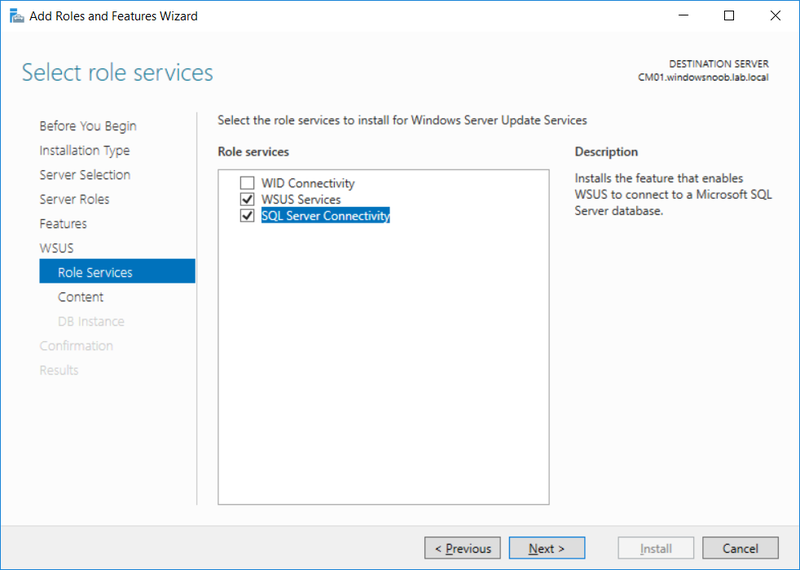 Start Windows PowerShell ISE as administrator, open the Install roles and features_WSUS.ps1 script, edit the $servername variable and replace CM01 with the ServerName your are installing ConfigMgr on (SQL server). 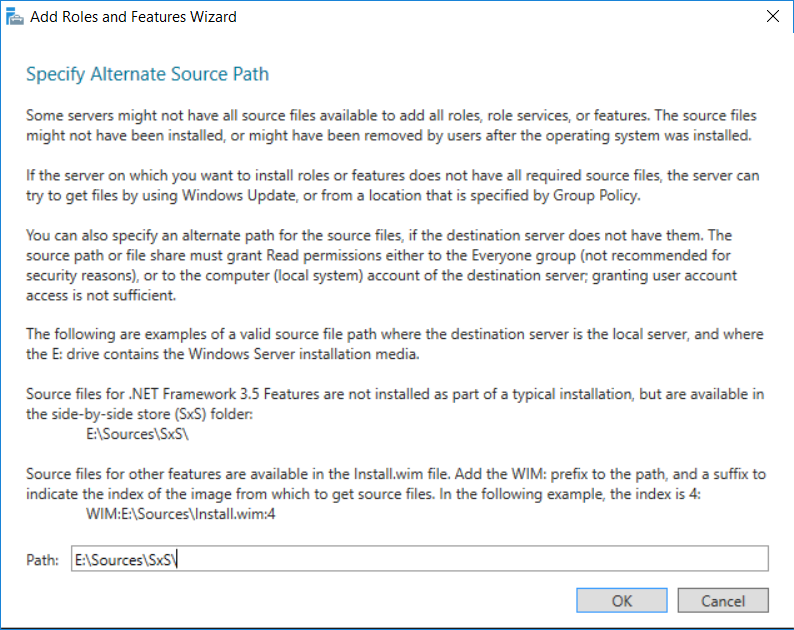 Note: Make sure to have your Windows Server 2016 media in the path referred to by $Sourcefiles. 2. Edit the variables [lines 22-25] as desired before running. Using PowerShell to automate things leaves more time for yourself and it's fun. 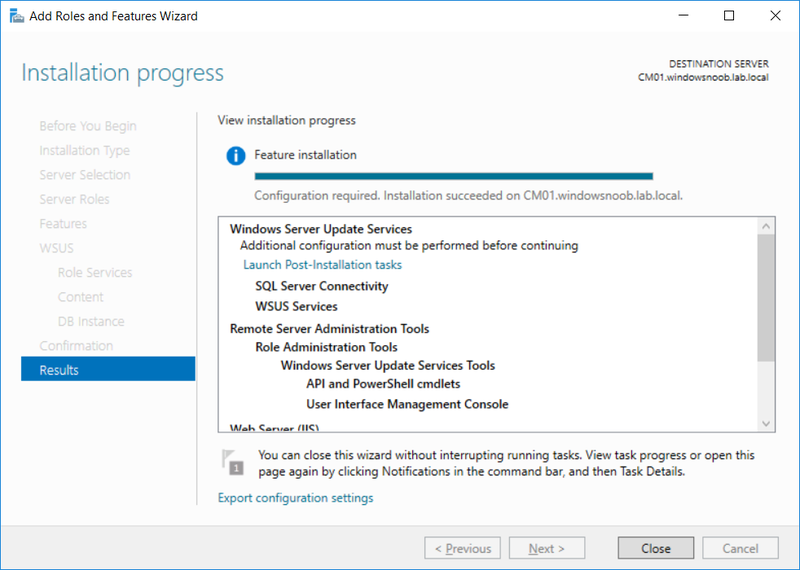 Please join me in Part 3 of this multi-part guide when you will install System Center Configuration Manager version 1802 (Current Branch). Good to know. I was beginning to think I was just a little crazy.. Couldn't find it. Hi - Excellent notes. Look forward to part 3. 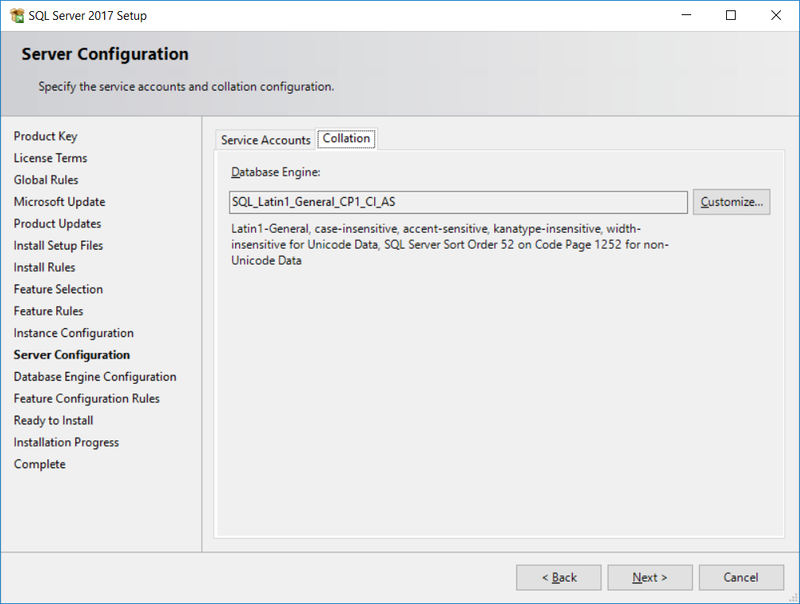 I am running CB1802 on Server 2016 / SQL 2016 SP1. 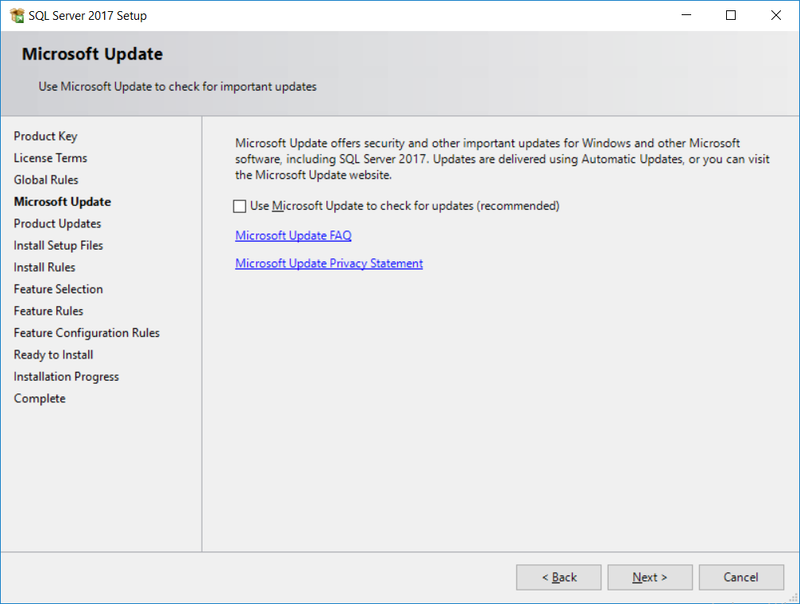 Is it possible to upgrade SQL 2016 to SQL 2017? I don't see much info on the NET yet. Appreciate your input. Hi - Excellent notes. Look forward to part 3. I did a short documentation for a colleague who had to upgrade CB1610 to CB1710. 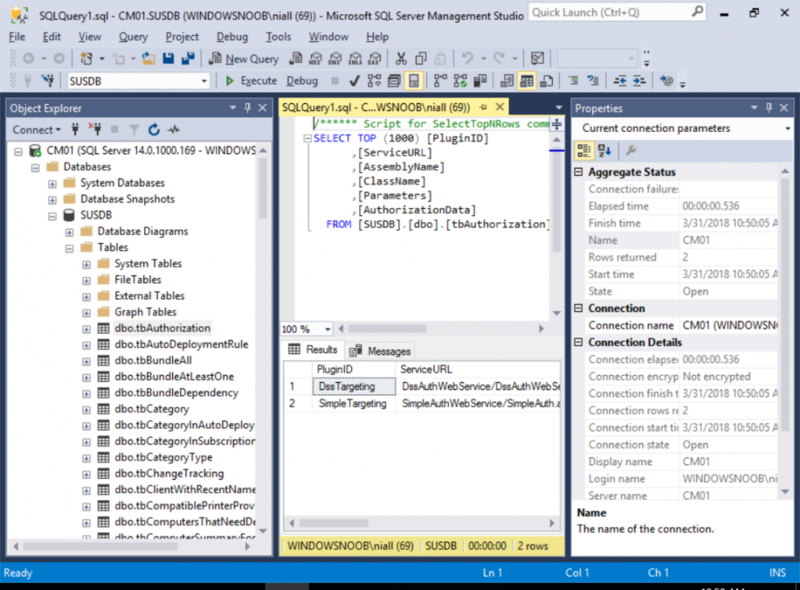 For this exercise, I did a test by attaching the database on another server and ran testdbupgrade. The test was successful. The only thing that bothers me is SSRS. 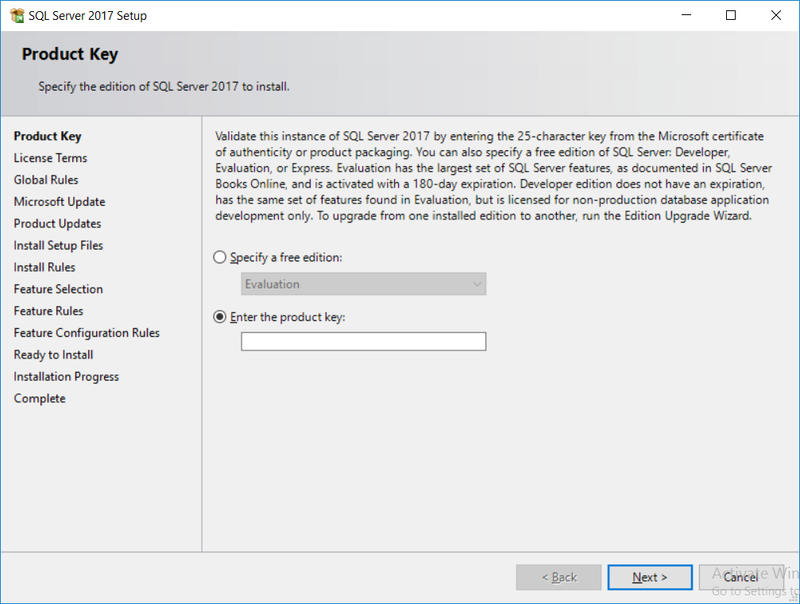 It is a separate install in SQL 2017. 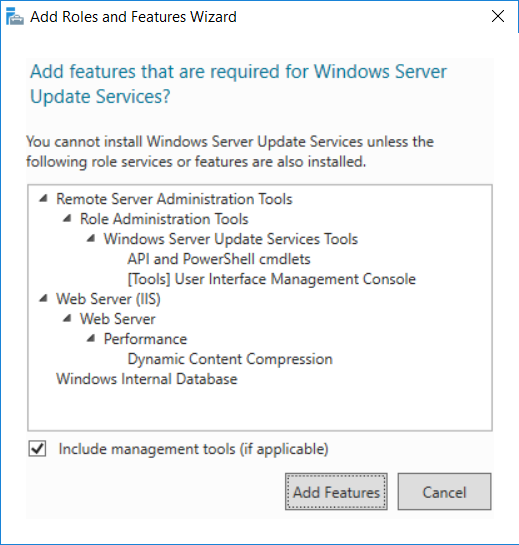 How this will cause issue during the upgrade is UNKNOWN. 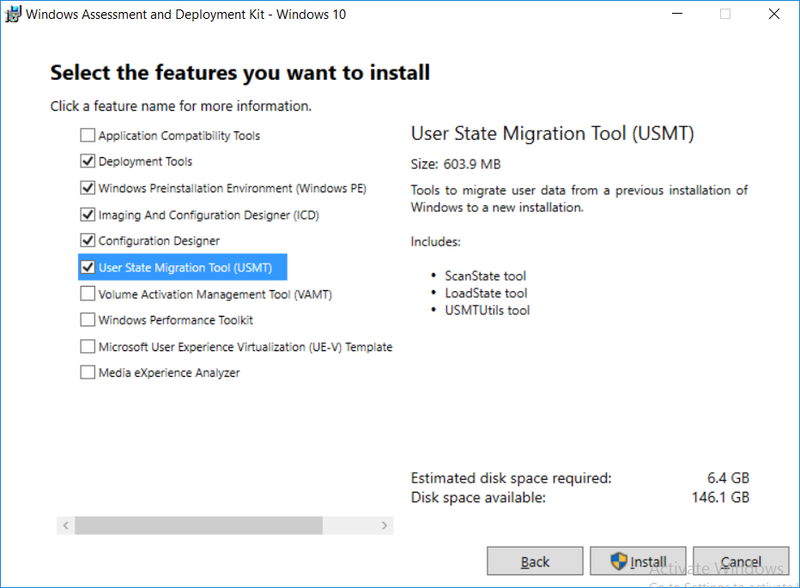 As a matter of interest are there any parts of the sccm install process you have not been able to powershell? I ask as around this time last year I was in a position of knowing I needed to rebuild my entire domain as we were going through a company rename but didnt yet have the new name. 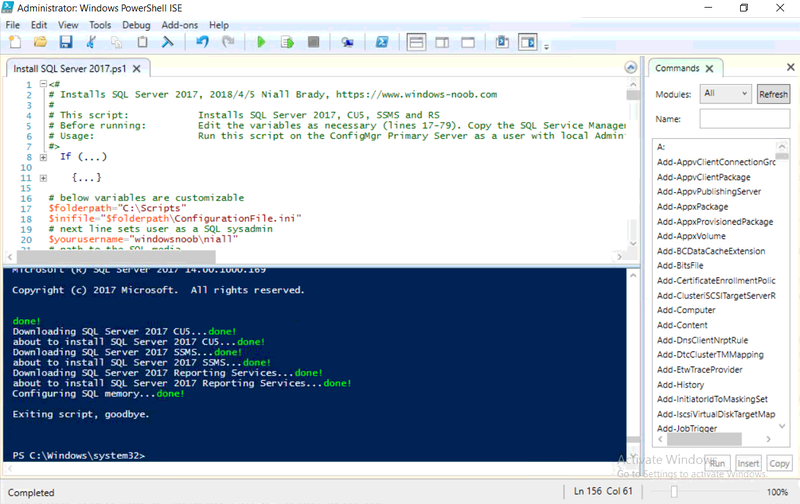 Ended up building a few dozen domain environments through powershell+powercli (vmware environment) including a lot of the sccm stuff so that once i did have the name+domain name i was ready to get going pretty quickly. 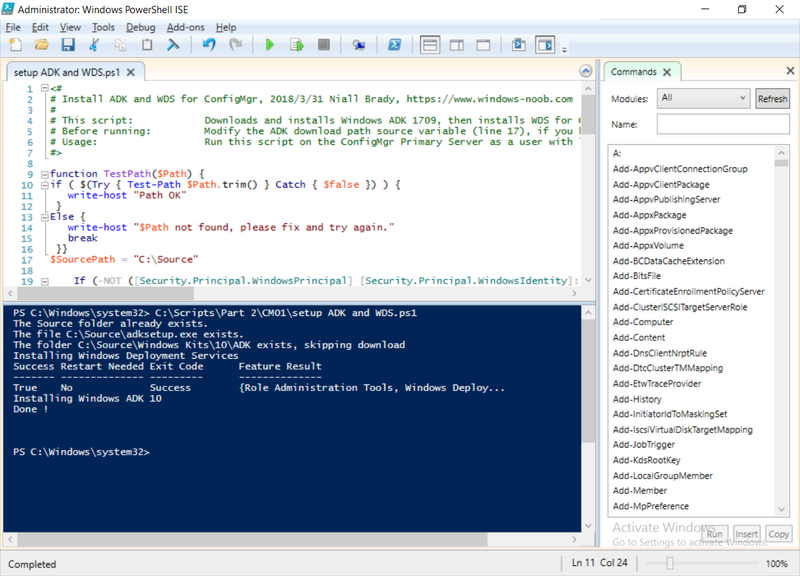 I accept I am no powershell expert but as it took me a long time to put together if there are any smaller parts of interest I'm happy to share them, log of entire build attached. I made a lot of sacrifices in the scripts for the fact these scripts were all running remotely, e.g. 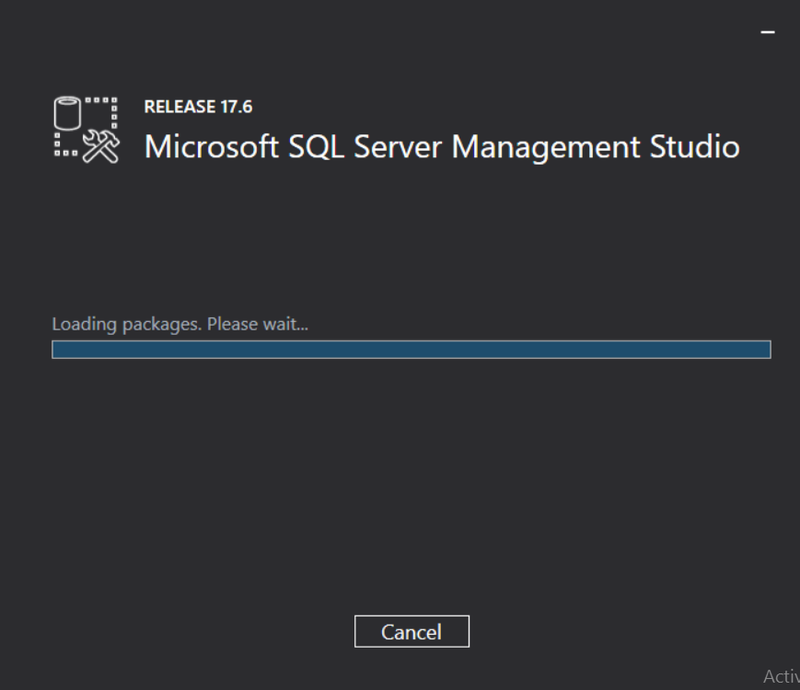 i installed SQL as a scheduled task. Names/ip addresses tweaked for semi-anonymity. I shall take a look, ta. 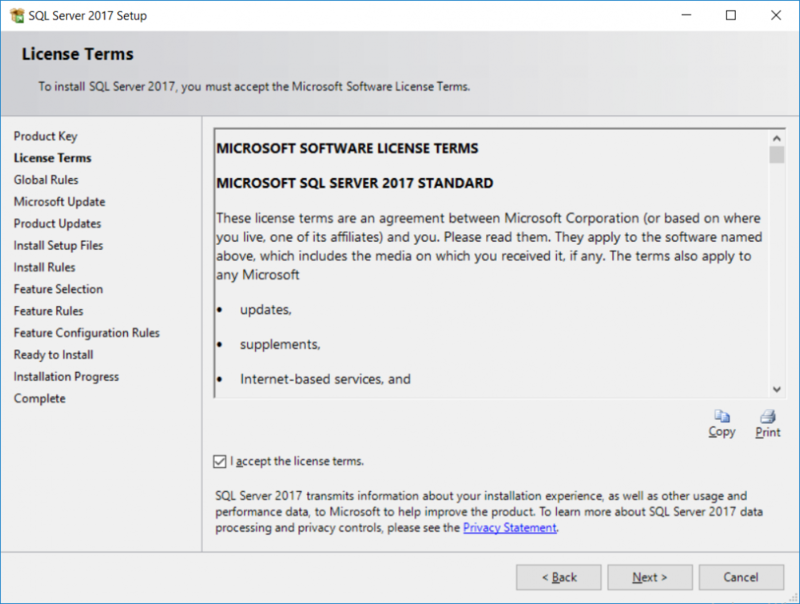 I looks like SQL Server 2017 SU5 is no longer available at https://download.microsoft.com/download/C/4/F/C4F908C9-98ED-4E5F-88D5-7D6A5004AEBD/SQLServer2017-KB4092643-x64.exe, so the SQL install script errors-out. Great guide though, thanks a bunch for putting it together. Another great step-by-step guide from Windows-noob, thanks. Save us so much time. 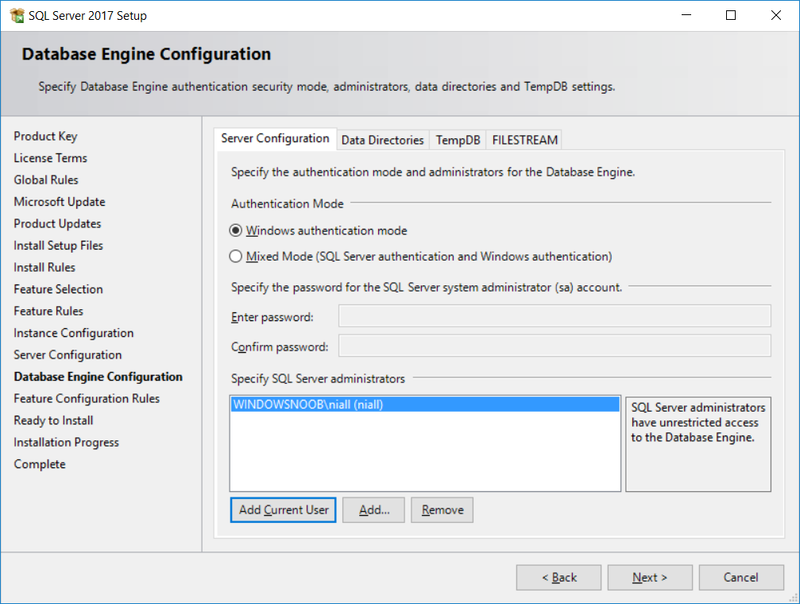 In one of the other step-by-step guide (I think it was in 1606) a user asked for splitting up the different SQL logs,DB,Temp and so on to different drives, maybe it would be a good ide to include that in your SQL configuration settings. Again thanks for some really nice guides. Well, I'm a bit bummed I went thru Part1 and Part2 and there's scripts but no help on what order AND no Part 3???? at the bottom of each post it links to the next in the series. Did you miss that ? I will edit the posts to link to all 4 parts.